Southern Cross Care’s reputation and experience in maintaining quality of life and independence in your own home are widely recognised. Experienced local staff understand the complexities of the various funded programmes to ensure you receive the right assistance at the right time. You are not alone, as caring expert help is close by to make you feel right at home. 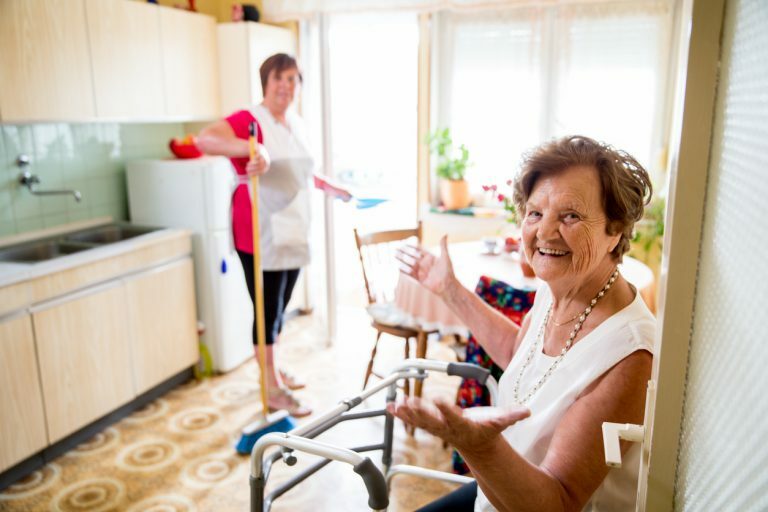 What can SCC Home Care Offer? Each person is unique with different goals and aspirations. Finding the right support at the right time can be confusing and daunting. Our experienced staff will help you to review the many options you have and guide you on your journey to remain independent and connected to the things that you value most. There is sure to be a SCC service for you that will make you feel right at home. Call us and we will meet with you and your family to understand your needs and provide professional advice. We offer all levels of Home Care Packages, Veterans Home Care and private short or long term support in all the major centres of Tasmania. Our qualified staff have an excellent reputation for reliability, skills and personalities. We understand each person is unique and we offer flexible personalised support where and when you need it to remain as independent as you want in the comfort of your own home. Your goals and aspirations may include assistance with everyday tasks and getting out and about. The possibilities are endless and the choices are yours. These services are available through Home Care Packages as well as on a private fee for service basis. Our staff are punctual and reliable and there is sure to be one to match your personality. Skilled case managers will ensure your plan of care enables you to feel Right at Home. The Australian Government determines the fees for Home Care Packages and Veterans Home Care. If you are a full or partially self-funded retiree you may be assessed to pay an additional daily income tested fee for a Home Care Package. It is important to realise that no one is refused care because of an inability to pay. If you need further assistance to navigate the system please give us a call. The My Aged Care website has full details of fees and payments for Home Care packages or freecall 1800 200 422.